← Inspired by Niki de Saint Phalle! “Fiddle Fern” Checks in From Vermont! Fiddle Fern at home in Britta's garden in Vermont! I wasn’t able to make it out East to the ceremony, but I was there in spirit for sure and definitely oogled their pictures since then. Last fall they came back to Minnesota and I was able to send Fiddle Fern home with them on their road trip across the country. I made Britta promise to send me picture of the gazing ball once it found it’s outside home at their place in Vermont. Today she sent me a picture! I’m so tickled, I could pop! 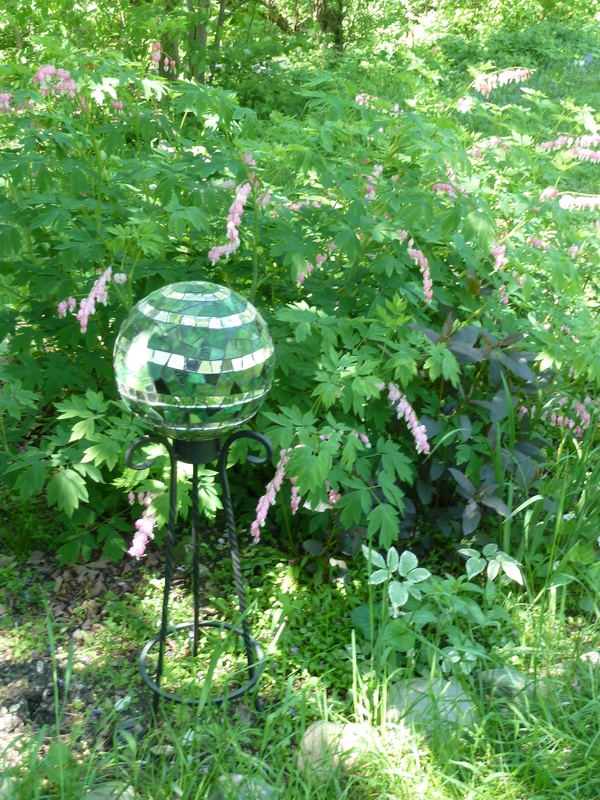 This entry was posted in Uncategorized and tagged fiddle fern, gazing ball, Vermont. Bookmark the permalink.